The new generation Maruti Suzuki Ertiga comes with host of changes in its design, increase in dimensions and a new and powerful engine. Suzuki has finally taken the wraps off the new generation Ertiga MPV, which also happens to be a popular product from Maruti Suzuki in India. Showcased at the ongoing Indonesia International Motor Show, this is the second generation of the Ertiga to debut and will soon make it to India as well. The new generation Maruti Suzuki Ertiga comes with host of changes in its design, increase in dimensions and a new and powerful engine. Moreover, the new generation Ertiga underpins the new Swift, Dzire, Ignis and also the Baleno. 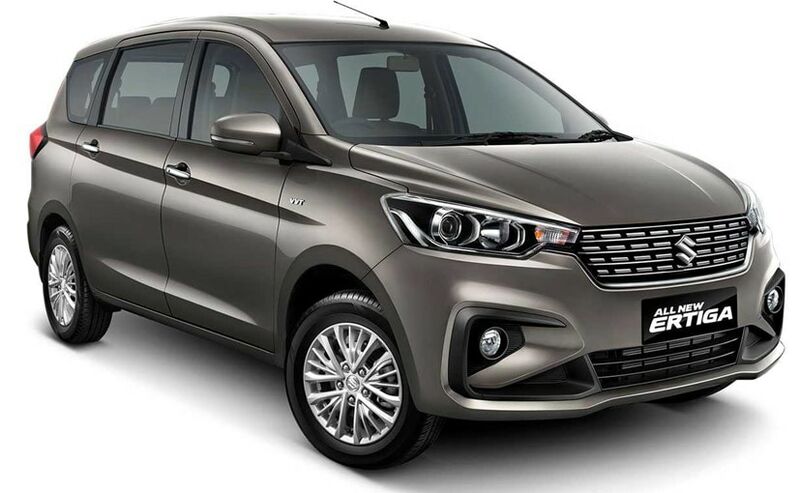 In terms of cosmetic changes, the new generation Maruti Suzuki Ertiga gets chrome detailing on its new hexagonal grille while the angular headlamps gets projector lens. The front bumper too is new and gets C-shaped housing for fog lamps, while the new bonnet has got muscular creases along the hood. A quick look at the rear end gives an impression of the WR-V as the tail lights are in L-shape and also gets LED, while the rear windscreen is a bit raked. The license plate too gets chrome detailing while the rear bumper is redesigned for a slimmer appearance. The muscular presence is also due to the new 15-inch 185/R65 alloy wheels. In terms of changes in its dimensions, the Maruti Suzuki Ertiga grows in its overall length by 99mm and stands at 4,395 mm, while the width increases by almost 40mm at 1,735 mm and the height is increased by just 5mm at 1,690 mm. The wheelbase, however, remains the same at 2,740 mm. The 7-seater Ertiga MPV has a ground clearance of 180mm. Under the hood of the new Ertiga is the new 1.5-litre K15B, DOHC, VVT petrol engine that churns out max power of 104hp and peak torque of 138NM, coupled to a 5-speed manual transmission and a 4-speed torque converter automatic gearbox. India too, will most likely get the same engine, an upgrade from the 1.4-litre engine that is currently on offer. Production and sales of the Maruti Suzuki Ertiga started in Indonesia and India in 2012, and since then has been one of the most popular MPVs in the market. 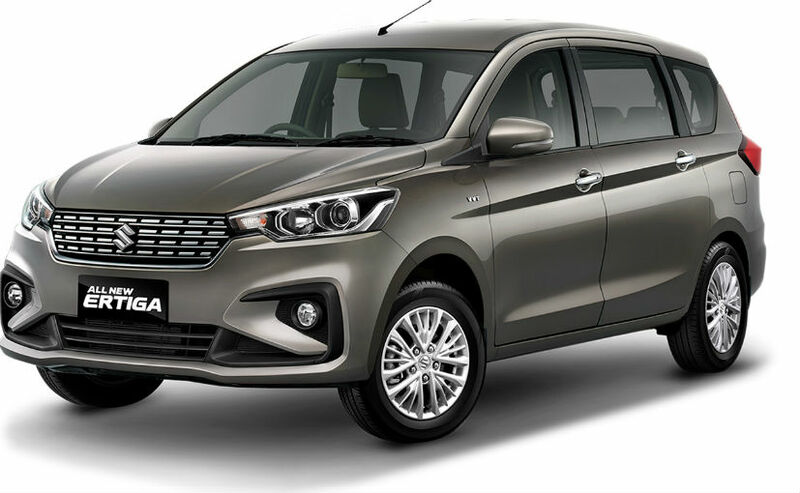 According to the company, 676,000 units of the Ertiga have been sold as of February 2018, both through sales in Indonesia and India and exports to over 70 countries and regions. The MPV segment accounts for approximately 30 percent of Indonesia's overall automobile market, and the new Maruti Suzuki Ertiga will be manufactured in Indonesia and also India with exports planned to launch from both countries.